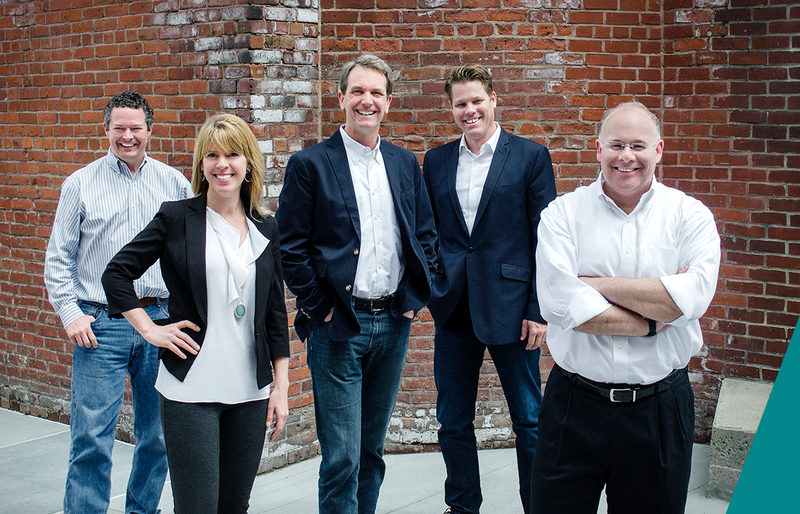 Having successfully built and sold their first company, Bitpipe, co-founders Jay Habegger and Eric Mabley put together the founding team of ownerIQ (Jay Habegger, Doug Shattuck, Eric Mabley, Chris Back and Connie Johnson) in 2007.
and has literally created the 2nd party data space, yet there is still so much energy and enthusiasm about our future. Chris, a founding team member, of ownerIQ oversees engineering, technology, and analytics for all real-time and automated systems at the Q. He studied software engineering at UMass Boston and has been working in internet technology for over 16 years. What is your favorite part about working at ownerIQ? I have been working with the same core team for the last 16 years. Wouldn't have it any other way. What's a fun fact that we can't learn about you from looking at your LinkedIn profile? I have recently taken up restoring old 70s and 80s motorcycles. As SVP of Publisher and Strategic relations at the Q, Chris works on building strategic relationships with ad tech partners to increase the adoption and overall relevance of the Q’s platform. Chris holds a BS in Advertising/Marketing from Boston University and has over 15 years of the experience in the ad tech industry. Many others claim to be premier players in the space, but we really are. The combination of our unique datasets with our truly world-class tech platform, makes it exciting to wake up every day and be a part of it. Early after college, I spent three years endeavoring to become a professional baseball umpire, and came pretty close. I was a top alternate. Should any umpires have quit or got hurt back then, I might be on a baseball field, and not on Wormwood St.
Jay Habegger is the co-founder and CEO of ownerIQ. Jay is a pioneer in digital media and advertising having over 20 years experience. He has built The Q from it’s humble beginnings to leading the industry in second party data and as the leading programmatic solution for digital advertisers, retailers and brands. Previously, Jay was the CEO and president of Bitpipe, leading the company through to its sale to TechTarget in 2004 in a $40 million transaction. Finding business solutions everyday and seeing "the Q" grow into a successful digital marketing company that provides advertising solutions for some of the best retailers and brands in the world. Between Christmas and New Years each year, I take extra time to sit down and review the year past and write professional goals for myself and the company for the upcoming year to document progress on all levels, and learn from successes and failures alike. Connie, a founding team member of ownerIQ, oversees the Manufacturer Business Development team, which is responsible for on-boarding leading manufacturers to the Vendor Targeted Marketing platform. She has a degree from the State University of New York at Fredonia and has been working in the industry for 15 years. Connie currently serves as an Advisory Board Member of The Women’s Network of the Greater Boston Chamber of Commerce. The people, of course! ...ownerIQ brings together so many talented, intelligent and dedicated people. Having been here since the beginning, and seeing the growth, I am consistently impressed by the talent that we recruit. Our executive team has been working together for almost 15 years and we have a lot of ownerIQ-ers that have been here for many of our 8 years. I think we all really like working together! I am not a “runner” but I do run and have completed 3 marathons, raising funds for multiple charities! As SVP of Software Engineering, Mike has 26 years experience and leads the Data Warehouse Engineering and Ad Platform Web Application teams, drives the Big Data technical vision, and works closely with the Product Management team to align ownerIQ data and web platforms with client-focused initiatives. He received a BS in Electrical Engineering from UMass-Amherst and a MS in Software Engineering from Boston University. Each day finding out that we did better than the previous day. That, and the pleasantly raucous office atmosphere. I've run 5 Boston Marathons. Eric, a founding team member of ownerIQ, heads up Client Services, Delivery, and Product/Platform Management teams as the EVP of Ad Platform. He received a BA in Economics and Computer Science from Bates College and has worked for over 20 years in the Internet marketing industry. It sounds cliche, but it’s true..."the people" is what it's all about. Each winter weekend, I like to live by the motto "Ski the East." Also, I like to "turn" (make) commemorative baseball bats. The people! There's a range of career experience. It's great to learn from and give back to each. A few years ago, I ran the Disney Princess Half Marathon. As as soon as I finished, I thought, "I never need to run that far ever again. I'm good." And I haven't. Jay is responsible for human capital strategy ensuring that we have scalable talent programs to select, develop, reward and engage The Q’s critical talent and to achieve our aggressive growth goals. Jay brings over two decades of progressive human resources experience within dynamic growth organizations in the technology and financial services sectors. Naturally it’s the people…well, the cool office, free food and beer helps! But it’s really the fact that Q is unique in that it has 10 years of proven success and has literally created the second party data space, yet there is so much energy and enthusiasm about our future that it really feels like a “grown up start up”. As our CEO (the other Jay) says our culture is like a grad school environment made up of really smart people that bring great ideas to the table. Well the one thing missing from my LinkedIn profile is a position I turned down early in my HR career at Burton Snowboards. Likely my dream job! Won’t exactly call that a regret, but I do keep a copy of my offer letter in my desk to remind me to take risks in my career. Doug, a founding team member of ownerIQ, is responsible for accounting, finance, cash management, yield/margin, information technology, facilities, investor relations, and human resources at the Q. He is a co-founder of the company and been working in the industry for 15 years. He is a graduate of Georgetown University and an active member of the Interactive Advertising Bureau (IAB) CFO Council. Witnessing The Q’s success first-hand … it makes the days fly by. I’m an avid triathlete, and live a long way from the office. So, my days start very early (typically around 4:30 a.m.) so I can beat traffic on the Pike and get my workout in before the day starts. Steve is responsible for running the national agency sales team as the Q’s SVP of Agency Sales. He is an experienced digital media executive who has been in the industry for 16 years. Steve holds a BS in Marketing from Southern Illinois University. The people. We are all driven to provide the best solutions for our clients while building a sound collaborative environment. I play as much golf as my wife and job allows me to. Steve drives the strategy behind the Q’s corporate, creative and product marketing teams, as well as the client strategy team, and sales planning team. He holds a BA in Marketing from Fairfield University and has been working in the digital advertising industry for over 15 years. It seems like every week, every day, I am met with a new opportunity to better the company, the product, and myself as a professional. If I was stuck on a desert island and could only eat three kinds of food for the rest of my life it would be eggs, rice, and pork rinds. Want to join the Q?